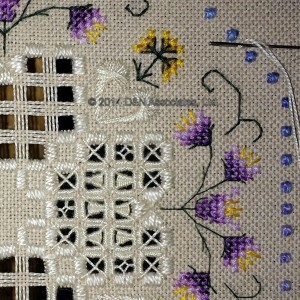 Thistles are a favorite flower of mine to stitch and Victoria Sampler is a favorite designer. Add to that a design for a hexagon shaped box lid, a cardboard hexagon shaped box (found on Amazon.com), and I was ready to stitch. 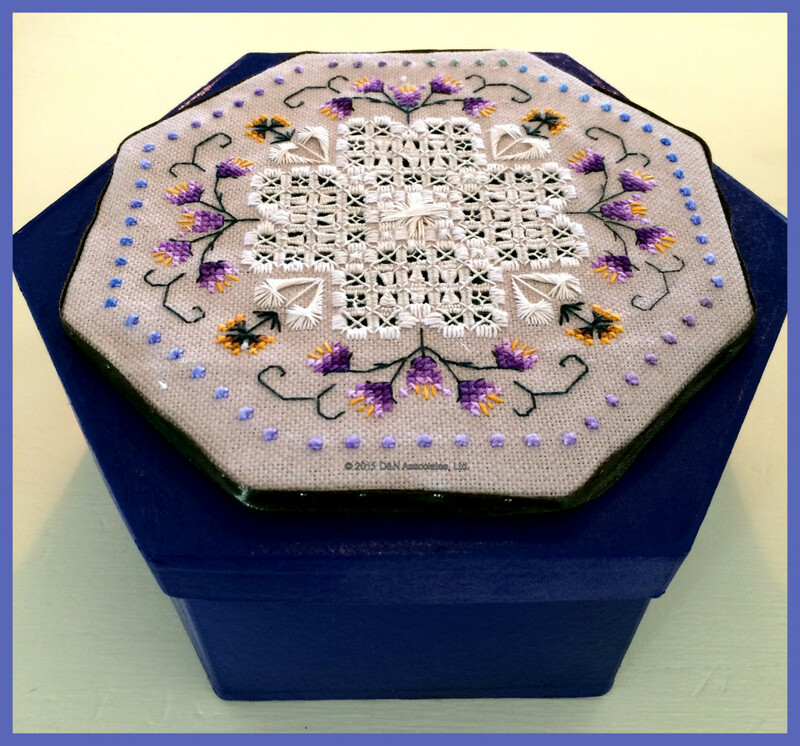 The design is Victoria Sampler’s Beautiful Finishing 7 – Spring Box. 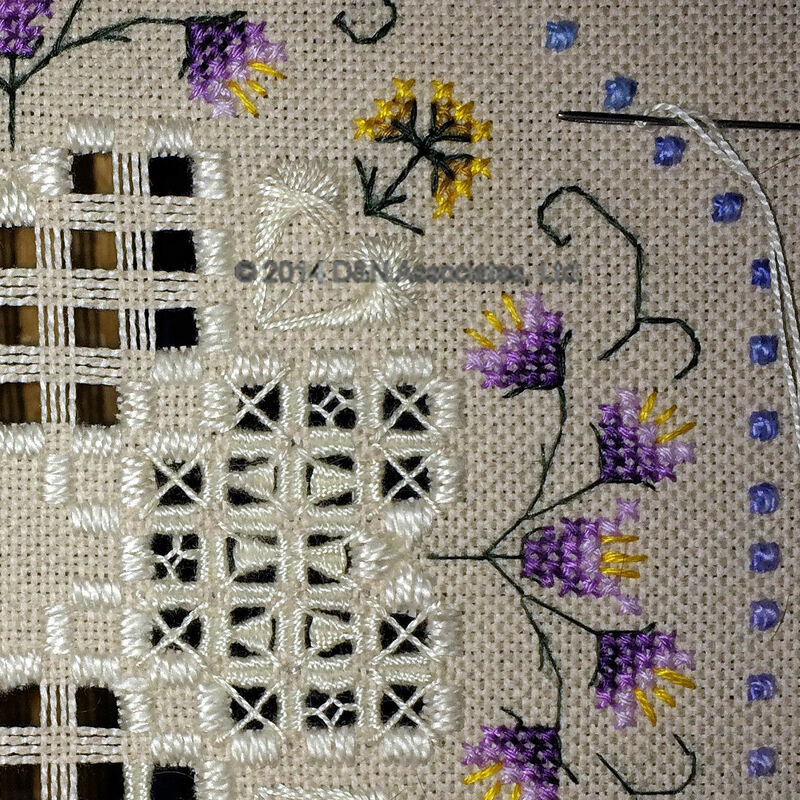 Worked on a 28 count natural linen I used size 8 DMC cream thread for the center hardanger area and size 12 DMC cream for the Rhodes hearts and the open work weaving. 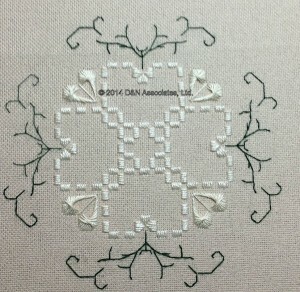 The green stems or vines for the thistle flowers are worked in Silk Mori-Very Dark Dusty Green (4077). 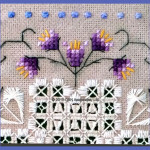 The large thistle flowers are worked in two strands of stranded cotton. 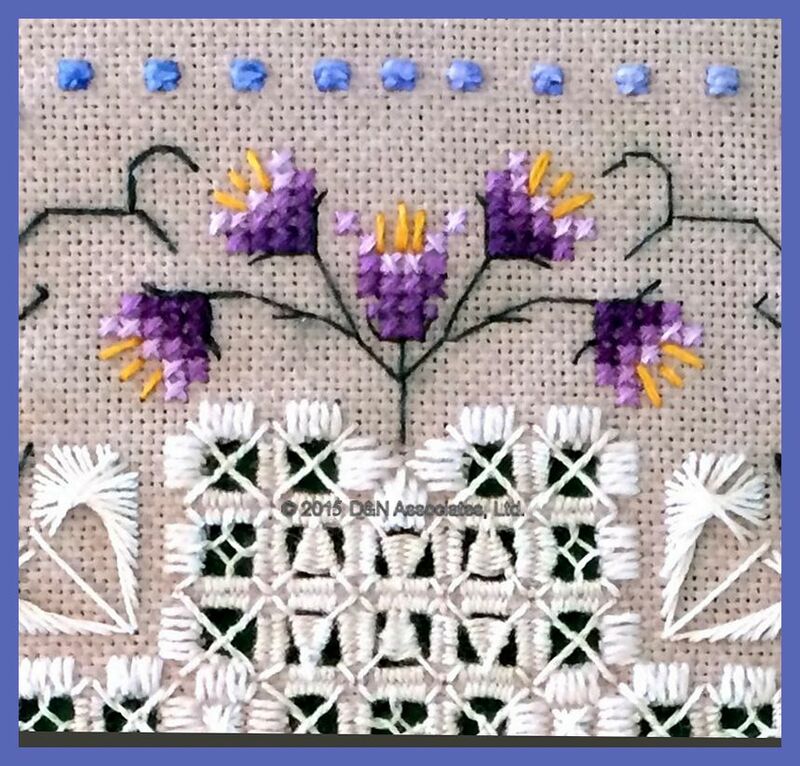 The dark purple thread is Threadworx Grape Shades (1158), medium and the light purples are from previous completed kits and I no longer know their shade numbers. The smaller flowers have a dark gold inner color and the bright DMC Canary Deep (972) for the outer orange color. 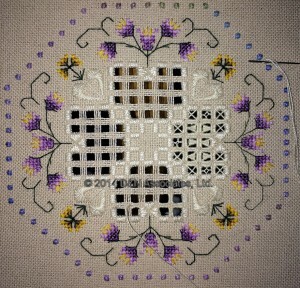 The dot looking outline of cross stitching was worked in a single strand of Rainbow Gallery Overture which is a heavy 4-ply cotton. 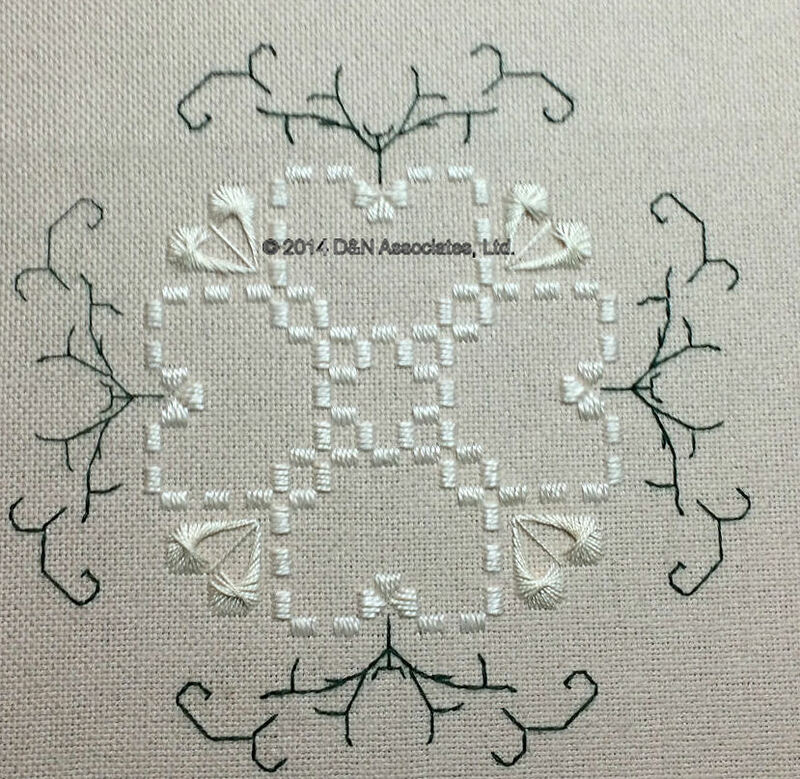 1-ply works as size 5 perle cotton. The color is Bouquet (V119). 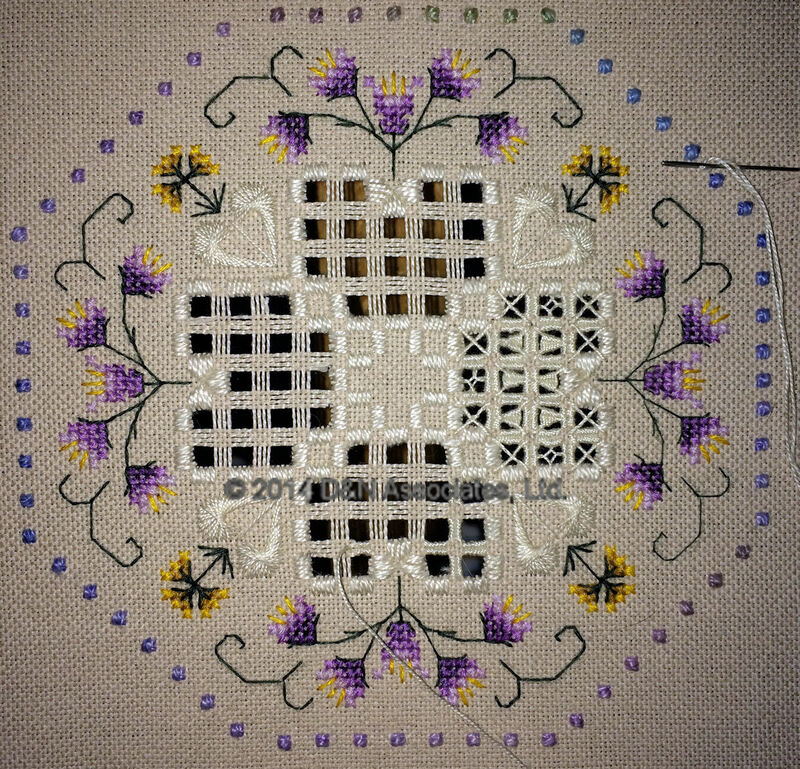 This design suggested to use small pearl beads within the Rhodes Heart stitches but I decided the beads were not needed to enhance the worked piece.